Hussong’s Cantina at The Shoppes at Mandalay Place is celebrating Mexican Independence Day on Friday, Sept. 16 from 11 a.m. to 11 p.m. with food and drink specials throughout the day. The perfect backdrop to celebrate the occasion, Hussong’s Cantina is recognized as the oldest and best known cantina in all of Mexico. Tracing back to the recipes of their elders, Chef Noe Alcala has created a back-to-the-roots menu featuring classic Mexican-inspired dishes. Guests can imbibe in one of Hussong’s refreshing beers including choice of 16 oz. ($4), pitchers ($15), or draft towers ($24) featuring Corona Light, Modelo and Pacifico. In addition, guests can listen to the sounds of rock-n-roll mariachi’s from 6 p.m. to 10 p.m. The bar that built a town! The name evokes images of Baja California: pacific surfers and fishermen relaxing after a day in the sun, Baja 1000 participants celebrating their survival, and cruise tourists singing along with the mariachis all while enjoying the notoriously strong drinks. It’s true if you haven’t been to Hussong’s, you haven’t been to Mexico. 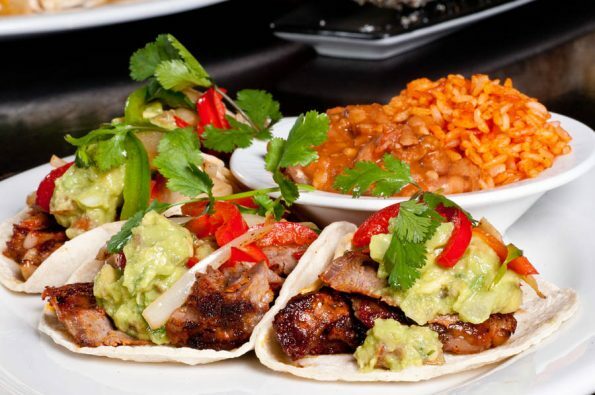 Hussong’s has been successfully translated into a high-energy Mexican restaurant and authentic cantina with several locations in Las Vegas and Reno, Nevada. An approachable menu, relaxed atmosphere and the best margarita in the world make Hussong’s Cantina a local favorite and a tourist “must stop”. Complimentary valet parking is available downstairs at The Shoppes at Mandalay Place valet, located off Mandalay Bay Road.